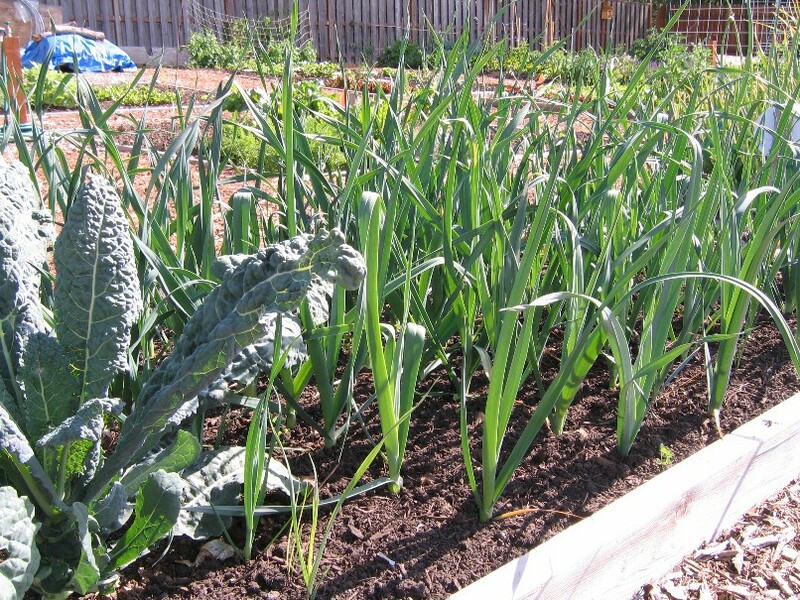 Last year the Campbell Community Garden gave away 861 pounds of produce to local food pantries. This year we have set our donation goal at 2,000 pounds; as of June 27th we have given away 266 pounds of veggies and herbs. It is time to plant warm weather veggies! 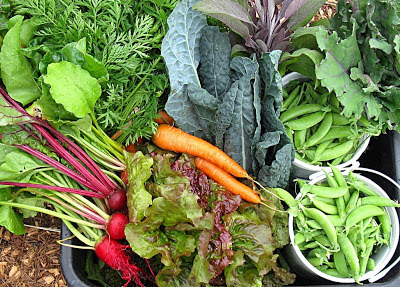 The Campbell Community Garden is producing enough produce right now to warrant once a week donations to our Harvest Sharing Garden recipients; soon we will be harvesting twice a week. Last week I chatted with Mary, who is enjoying the veggies I drop off each week; I told her we harvested our first snap peas and there would be more to come for the next several weeks, and that our tomatoes were planted, but quite a ways off from harvesting. She asked me about leeks, telling me that they were a big hit with a lot of people receiving our donations. Our leeks are still many weeks away from harvest time, but they are planted! Here is a video, filmed a few weeks ago, showing how to plant Bandit and Tadorna Leeks, thanks to Straw Bale Films! 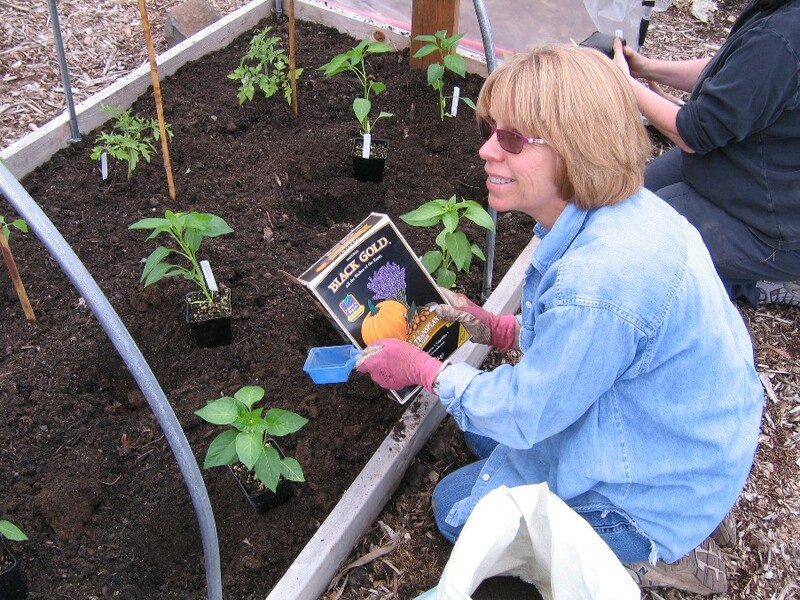 Thanks to generous Campbell Garden Sponsors, garden volunteers planted tomatoes and peppers in our Harvest Sharing Garden on May 19th. Black Gold donated organic fertilizer to help our plants thrive! Hansen Family Farm is sponsoring our tomato garden again this year by giving us 20 tomato plants and 14 pepper plants. The Hansen's grow an amazing assortment of veggie starts for sale at the Milwaukie Farmers Market on Sundays and at the Oregon City Farmers Market on Saturdays. While mid-May was still a little early for setting tomato and other warm weather plants directly out into the garden (they really prefer warmer weather), thanks to the generous donation of greenhouse plastic from Naomi's Organic Farm Supply and metal hoops from Family Table Farm, we were able to tuck our tomatoes and peppers into a warm cloche. 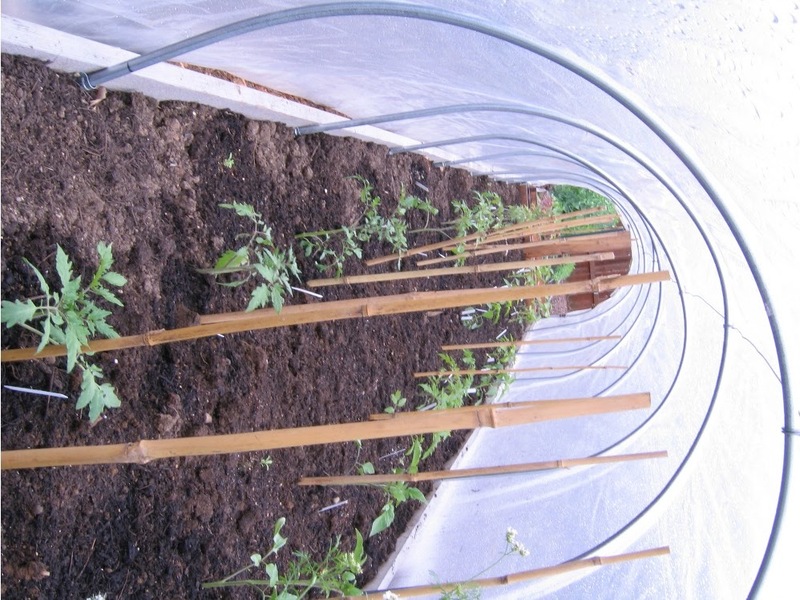 We will keep the plastic on until the temperatures are consistently warm and the threat of severe rains are past. Tomatoes and peppers tucked into a cloche.